Have you ever needed an emergency tree removal service in Michigan when a tree became a hazardous object? ArborView Tree Removal Services offers 24-hour emergency tree services. If a tree causes physical damage to your property, ArborView Tree Services will be there in a couple of minutes to provide quick tree removal in Michigan. Cutting the trees is no problem and we do it relatively inexpensively when compared to other immediate tree services in Michigan. We offer the best ‘bang for your buck’ that is suited to your needs. We have affordable tree removal services for street/public as well as private trees or trees in your yard. We cover businesses, residential homes, and larger complexes. A tree service estimator will provide a written estimate of the damages. We also protect you during this initial stage in order to ensure that no further damage is done, no matter how dangerous the tree removal process can be. There can be instances where a tree starts to crack the soil and cause permanent damage to the floors of your property. However, if it is just a branch that gets in the way, then this would not require an emergency tree removal company. For trees that present an immediate threat, they are either trimmed to prevent future hazards or completely removed from their immediate hazardous position. We are not saying that trees don’t have value. We do our best to separate the hazardous trees from the good trees. This can be compared to separating sheep from the goats. However, when a tree becomes infected this can contaminate the environment. When it gets affected by weather conditions, it is no longer a haven, it is a hazard. This is where we come in as your emergency tree hazard removal service in Michigan. Let us help you as quickly as possible with our 24-hour emergency tree removal services. Don’t accommodate dead, dying or useless trees in your yard if you don’t have to. Doing so is a can result in the occurrence of a hazardous event. Trees that encroach on others are useless in the sense that they can cause good and useful trees to suffer. These trees can also come in contact with electrical wires and other dangerous structures. The average person is not trained to perform the removal of hazardous trees. For one to try on his/her own, he/she would be putting public and personal safety at risk. It becomes even worse when your attempts possibly lead to damages to public, commercial or private property. Hence, by hiring us as experts, we serve to protect you from these negative occurrences. We are the ones who then become accountable for the tree removal process as we seek to protect the safety interests of the public. This is about the safety of the public as well, not just the safety of one individual. Our expertise in the latest tree removal technology and procedures along with our affordable tree removal rates make us the leader in Michigan as an affordable tree removal solution. Whenever Michigan gets battered by bad weather from the All-powerful elements, the best thing to do is to fight disaster with the process of a quick renewal. After storms and bad weather conditions ‘claim the lives of trees,’ the trees are left in dangerous position. Hence, they are prone to cause bodily harm to anyone. Can you afford to be caught in such a perilous position? As soon as you call us we will be there to prevent a situation like this from getting out of hand. At ArborView Tree Services, we ensure that the customer comes first because we believe that the customer has a right to public, commercial and private safety. We are impartial: it doesn’t matter if you are a politician, teacher or the man on the sidewalk. People realize that we stick with them until their situation is completely resolved. We don’t delay. We are a 24 hour immediate tree service, not one that you have to wait for a long time when we are called to come. 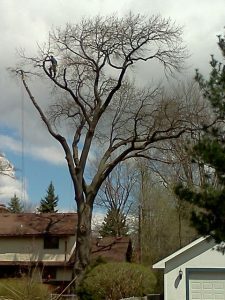 We will perform fast tree removal in your area as we always have been doing in and around Michigan. Even in the most dangerous of emergencies, we will extend ourselves beyond Davison Michigan to other surrounding areas. Our staff won’t neglect you because we will welcome you with open arms. As we said before, you will get the best ‘bang for your buck.’ We will even help you to schedule your appointment, meet our experts and thus ensure that your needs are met with maximum quality. Don’t hesitate in times of emergency. Contact us. The sooner, the better.